This comprehensive full-color what-to/when-to/how-to reference manual covers every garden and landscape planting including the most proven and popular as well as many native New England plants that deserve to be better known. Month-by-month guidance from March through October--with suggested dates for planting and tending adjusted for each zone--is augmented by advice on such topics as soil testing, composting, pruning, landscape design, and how to provide a season-long source of pollen and nectar for beneficial insects. 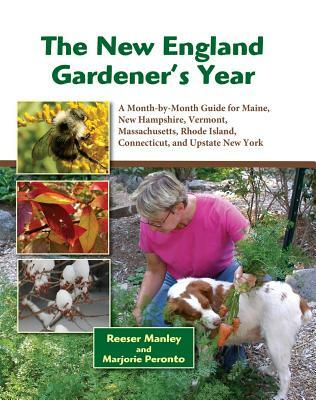 Reeser Manley holds a Ph.D. in Horticultural Science and has gardened for many years in Massachusetts and Maine. His weekly gardening column appears in the Bangor Daily News and on-line. Marjorie Peronto, an Associate Extension Professor for the University of Maine, has taught courses in ornamental gardening, ecological landscaping, and home food production for 20 years.